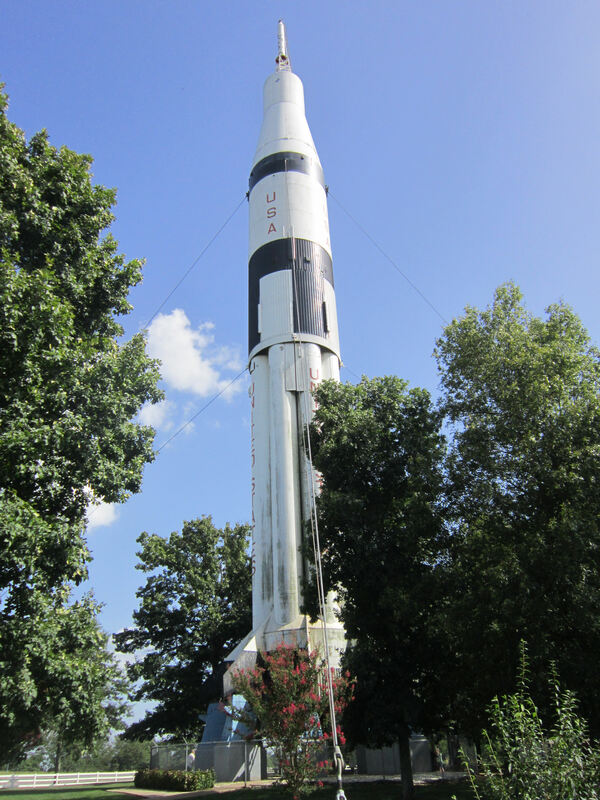 2015 Road Trip Photos #3: The Welcome Rocket « Midlife Crisis Crossover! 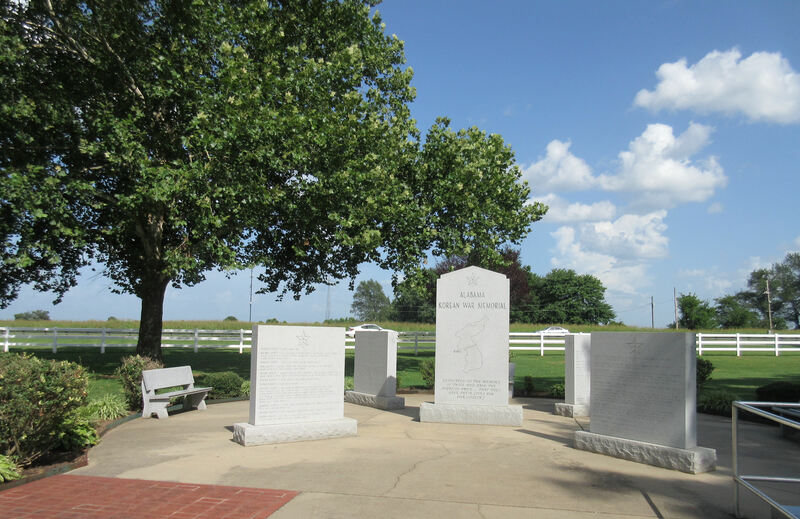 We do our best to plan our potential stops and know where we’re going in general before we leave home, but sometimes we’ll stop at welcome centers along the interstate anyway to stock up on extra brochures, stumble across travel ideas the internet neglected to mention, and seek input from local tourism representatives. And sometimes we just need a rest stop. Day One was no exception — with an eight-hour drive planned, not including stops, we knew we’d be dying for excuses to escape the car every so often. It was hard to overlook the inescapable impact of Lynyrd Skynyrd on Alabama culture. The rep on duty was among the friendliest we’d ever encountered at one of these places. I imagine they spend most days in isolation dozens of miles from home, surrounded by exhausted strangers, helping travelers who don’t get maps, recommending one-star motels to road warriors who prefer to improvise their arrangements, and providing directions to the bathrooms across the hall. Not so with Alabama’s own — the friendly lady struck up conversation with us first, handed us some colorful small-scale maps, and even gave us coupons for free sandwiches at a BBQ joint several miles down the road. Awful decent of her. 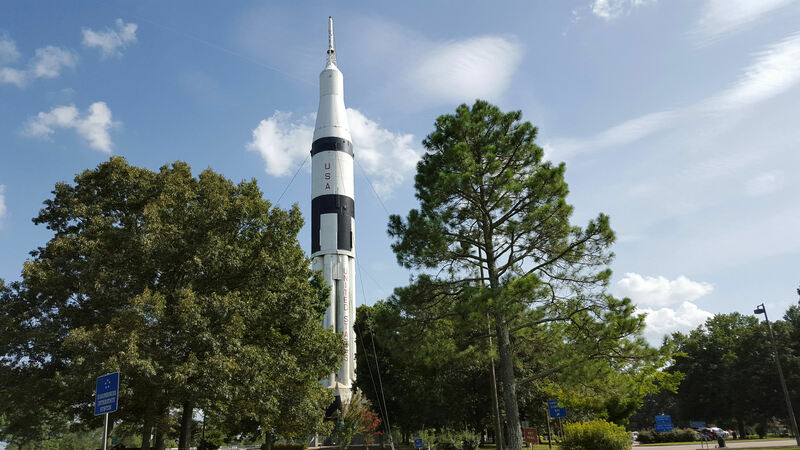 We weren’t too far from Huntsville, where NASA’s U.S. Space Center is supposed to be a must-see for fans of America’s space program. We visited Kennedy Space Center on our 2007 road trip and thought Huntsville’s extension would make a nice companion stop. We had that tentatively scheduled for our return trip, but this photo-op stand was a reminder to give them serious consideration. Houston, we have a photo op! 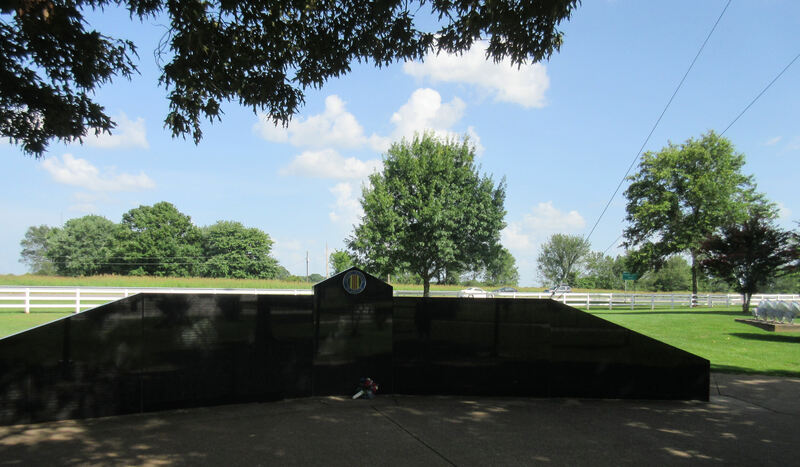 In addition to the inviting scenery and large pet-walking field, the grounds of the Welcome Center also include a pair of war memorials — one for Korea, one for Vietnam. 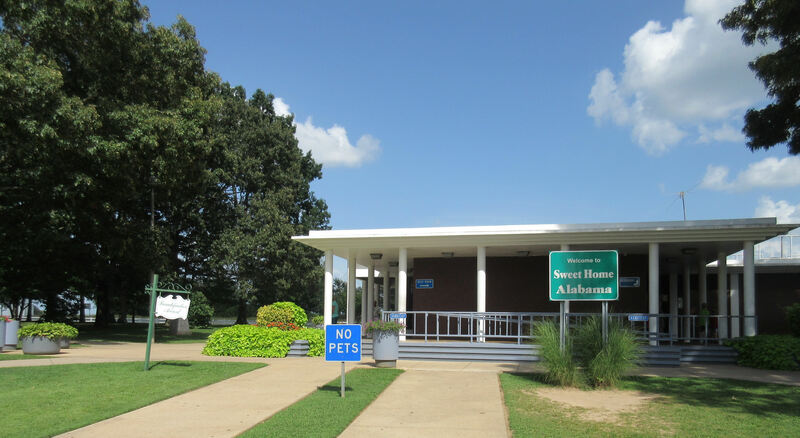 As one tour guide would put it to us on Day Six, Alabama is one of the few states that hosted historical moments in both the Civil War and the Civil Rights Movement. So this marker could be taken a few different ways. Then there’s the centerpiece that caught our eye from miles away. The Saturn IB launch vehicle was developed as sort of booster for carrying lunar or command modules into orbit. These were in testing from 1966 to 1968 (the one manned test in 1967 ended in tragedy for the crew of the Apollo I), then in active use from 1973 until the entire line was was decommissioned in 1975. This eight-story portion came from one such vehicle that was never used. And this was just the first stage. 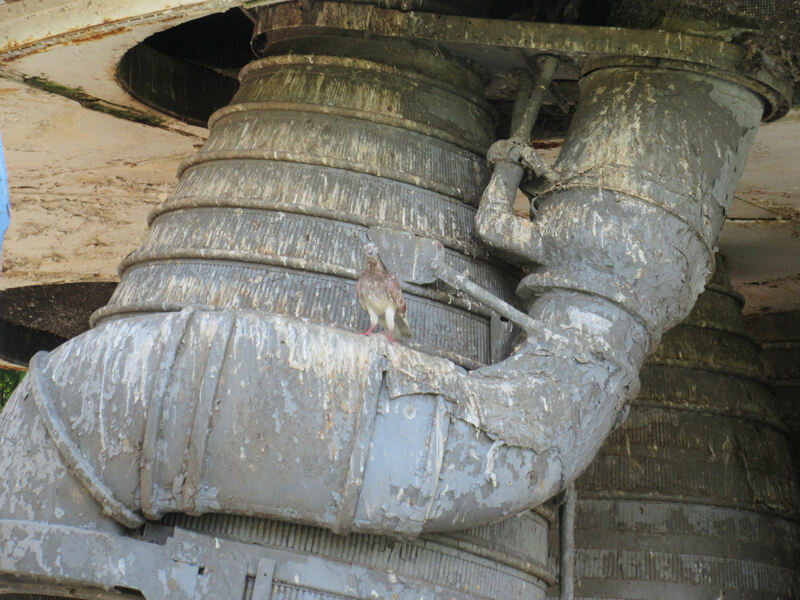 I understand the slightly smaller second stage is on display in Huntsville. This to me was a sufficiently impressive stage in itself. 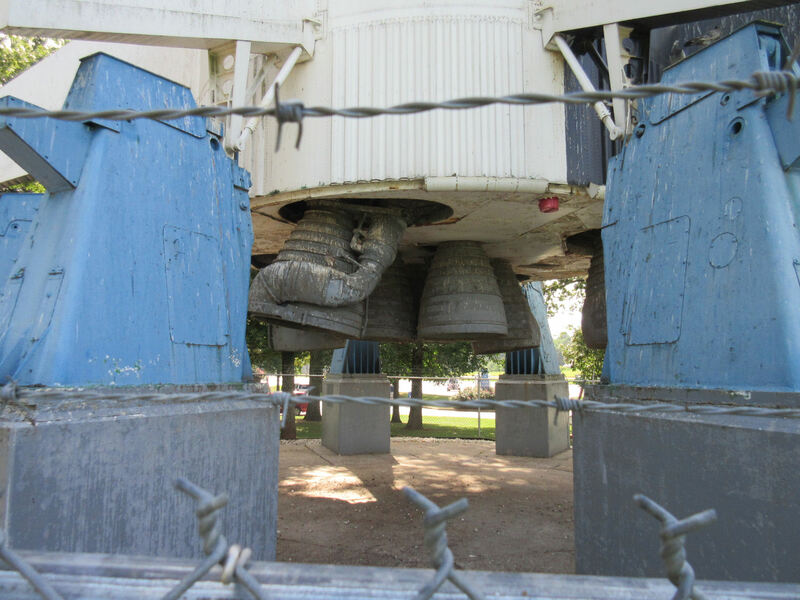 The Saturn IB is surrounded by a security fence so you can’t just walk up to it, hug the engines, or hold rocket-climbing races with your friends. 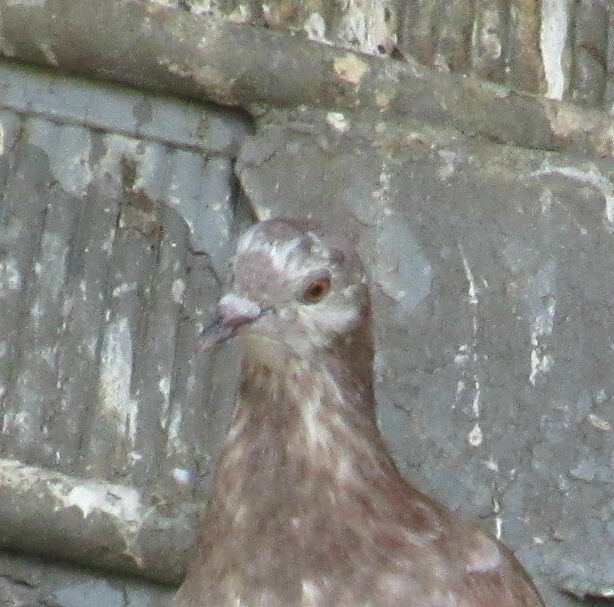 Despite some attempt at camouflage, though, I noticed the barbed wire and stern signs weren’t enough of a defense against all scurrilous intruders with flight on their mind. Don’t you slama Alabama made me snort laugh :). Sounds like this was a pretty sparkly trip. We saw some fascinating things, some deeply meaningful things, and a few things that had us flabbergasted. There were also some disappointments here and there, but that’s not unusual for us. We always overplan for our trips so there’ll be no danger of boredom. Sooner or later, though, some stops have to be cut as circumstances change. Consider those moments officially foreshadowed! 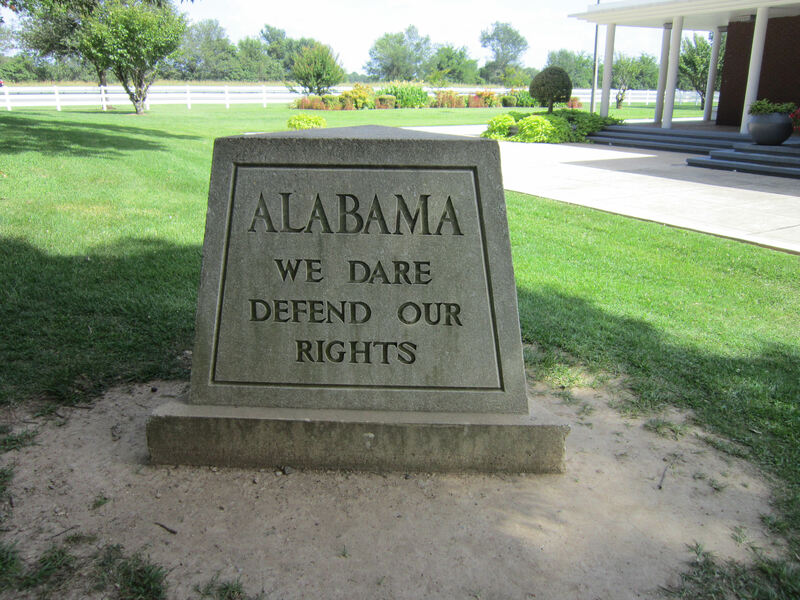 I have a photo of the We Dare Defend Our Rights monument framed on my nightstand. My friend and I are standing next to it holding up our fists and looking oh-so-menacing (not). It was the last road trip she and I took before she was diagnosed with cancer. 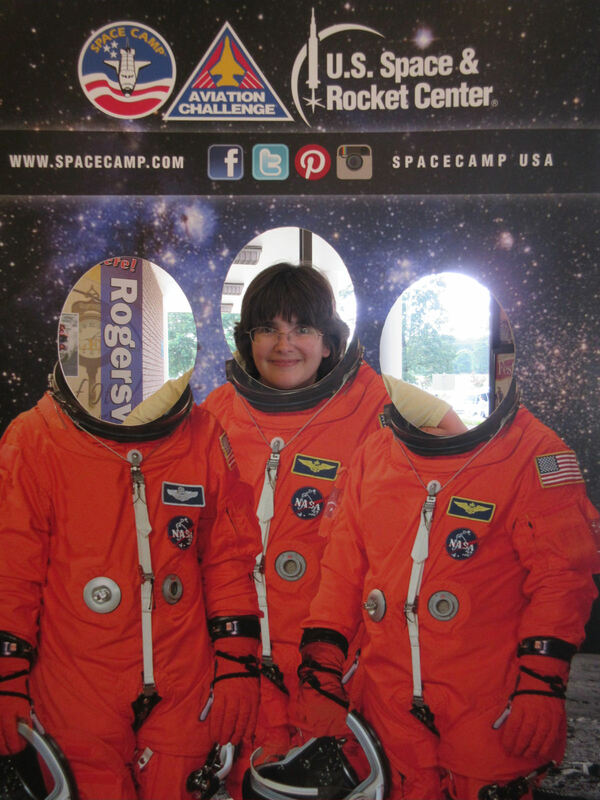 The first time I went to the Space & Rocket Center I was in the fourth grade. I really wanted to be an astronaut after that day. Good times. Safe travels. Oh, wow. This is a severe understatement, but I have to admit: for us the most memorable encounters on this trip came from things that were the result of moving expressions of strong personal connections like yours. (The nightstand photo takes me aback in a solemn can’t-even-imagine kind of way, though I’m smiling at the fist-shaking image in my head.) I can say we definitely came away from Alabama with a much more meaningful impression of it than we had a year ago before Anne started looking into it, and we’ll get into some of that in future entries. Thanks very much for sharing that.